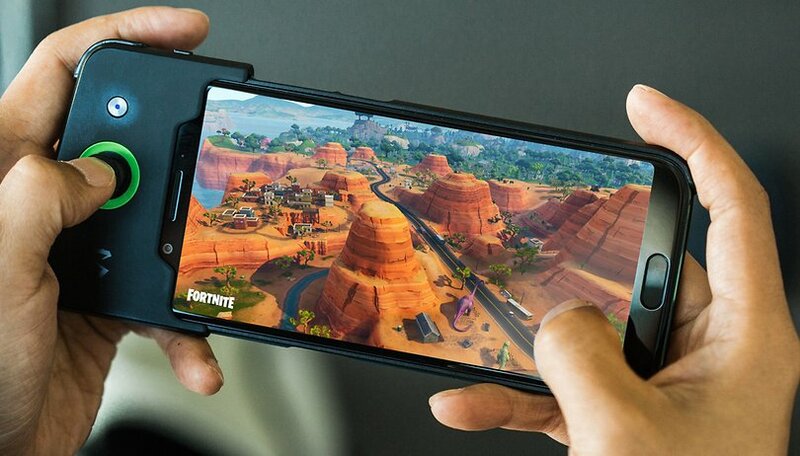 There is very little left to Samsung's launch of Galaxy Note 9 and rumors circulating on the web indicate that the Korean company has obtained Fortnite exclusively for its next phablet, at least for a period. Does the Samsung agreement really make sense when you see how Android works? Does "exclusivity" on Android even make sense? Confirming our doubts about the validity of Fortnite's exclusive offer for the Galaxy Note 9 is a video published by our colleagues at Xda Developers. The renowned developer portal has, in fact, gotten its hands on an APK of Fortnite from the firmware of the upcoming Samsung Galaxy phablet, and yes, they got it to run on a different phone. As we already know, Fortnite for Android will not be launched on the Google Play Store. Epic Games will distribute the game itself. To get Fortnite on your Android phone, you'll have to download an APK file from Epic Games' official website. How will Samsung and Epic Games defend the exclusive nature of Fortnite for the Samsung Galaxy Note 9? I don't think that they will, because their efforts will be in vain. The APK shown in action on an Essential Phone already allows you to download version 5.20 of the game, the update expected for the coming days (coincidence? I think not ...). Unfortunately you can not actually play the game because the app does not allow login to accounts not authorized by Epic Games, but it is clear that installing the game on a smartphone other than the Note 9 will not be a problem. Of course, Epic Games still has a special promotion to gift 15,000 V-Bucks (~$150 in value) to those who get Fortnite with the Samsung Galaxy Note 9. But given that in-game currency in Fortnite can only buy you cosmetic items, it's unlikely that this will make the Note 9 much more attractive to Fortnite fans. What is an APK file and how to install it? I'm more than sure that a few hours after the launch of the new Galaxy someone will upload online the installation file of Fortnite making it available for virtually every smartphone that can withstand the performance level. Will it be the shortest exclusive in history? I think yes, and there's nothing Samsung or Epic Games can do to prevent this from happening. What do you think about this? Will Epic Games think of a solution to this problem? yeah, i guess you have a point, but I feel like having a rooted device can allow you to bypass it somehow. I'm probably wrong tho, I just thought that it was somehow possible. Don't be so smug because, well, ahem, Fortnight will know what device you're using when you try to login and can still reject you if you're not using a Note 9. Did you think they didn't think of this? I'm sure Samsung will have heavy penalties for Fortnight if it plays elsewhere. how will they know? if you download an apk they might make it a Note 9 exclusive...But the thing about android is that there is always a work around. This isn't Apple. The app knows the model number of the phone. I'm sure that's passed to Fortnight when logon occurs. They want to know on which phones people are playing the game. They could easily reject login for a non-exclusive device.